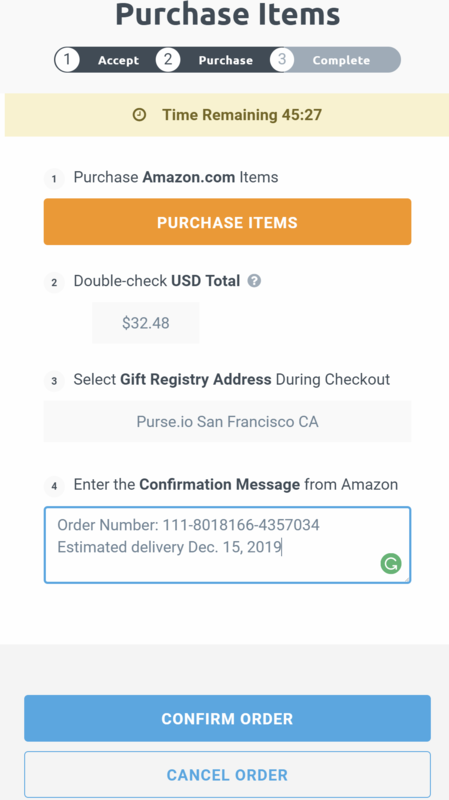 Learn how to switch over to Bitcoin Cash earning on Purse, all by selling your Amazon Gift Cards. 1. Navigate to “Earn” and browse the available orders. 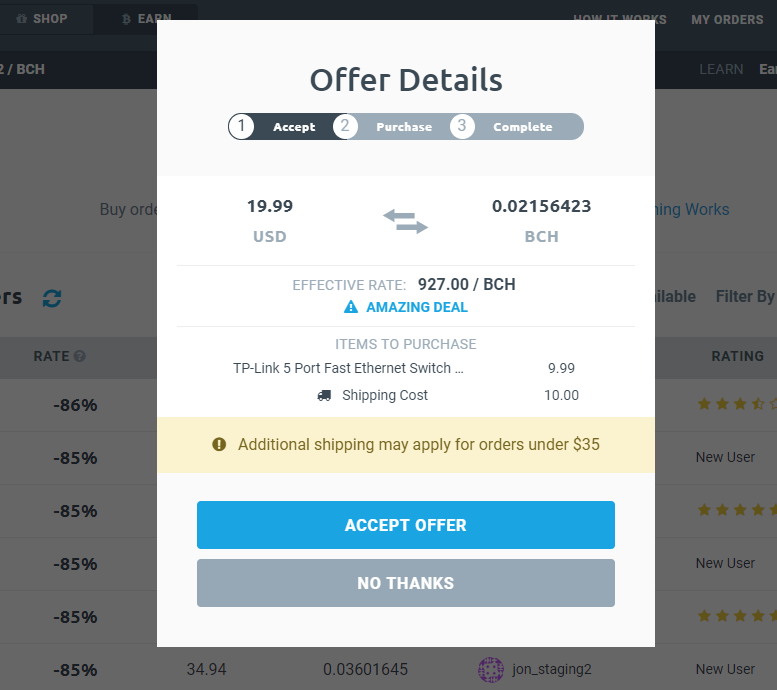 Make sure to switch to Bitcoin Cash. 2. Filter by Country and the Amount of Bitcoin you wish to buy. 3. Click on an order to preview, then select “Accept Offer”. 4. 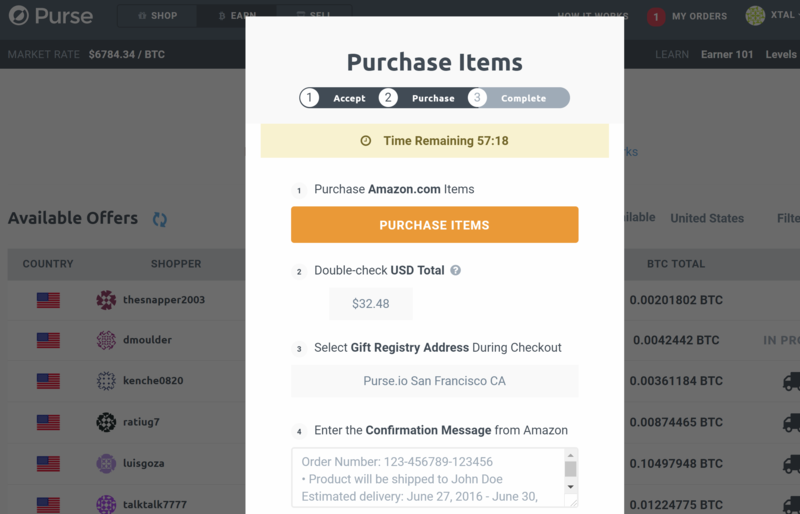 Carefully review the amount of Bitcoin Cash you will receive, then press the Purchase button to go to Amazon with the shopper's items added to your cart. 6. Select the same shipping address highlighted during checkout. 7. 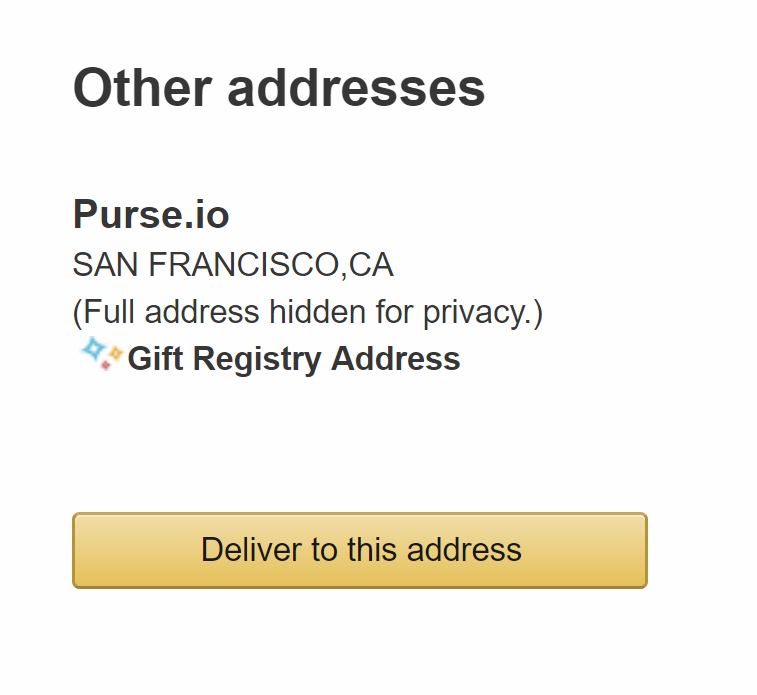 After completing the purchase, copy and paste the Amazon Order ID and hit “submit” on Purse. Once the order has been delivered, the shopper will receive a notification, they will have up to 48 hours after the delivery to check it and confirm the order. Make sure to upload the tracking information as soon as it is available to you. All Earners must provide a copy of the official Amazon purchase invoice if requested by support, there are no exceptions. To know more about how to be a good earner and get better deals, please check out our ''How to Be a Good Earner'' article in our support center.